Run at the Vestal Coal House with BiziFit! Here’s some good news for all the runners (and walkers) out there: BiziFit isn’t limited to accessing gyms and fitness studios… we’re also working to cover entry fees to many of your favorite 5K runs and walks with BiziFit Memberships! 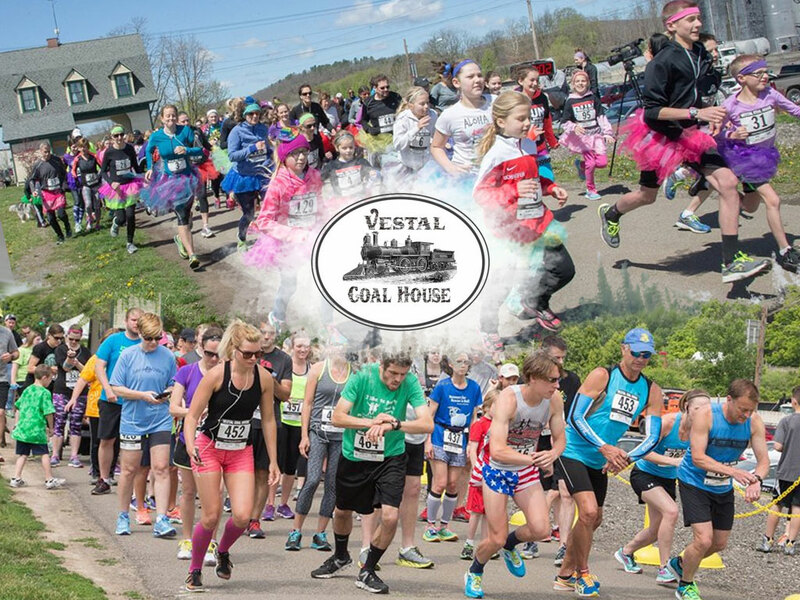 To start, we’re excited to be collaborating with the Vestal Coal House to give BiziFit Members access to upcoming races at the Vestal Rail Trail. Be sure to SAVE THE DATE: On Sunday, December 18th, we’ll be getting bizi at the 3rd Annual Christmas Cookie Run! This particular run will be professionally timed and engraved medals will be awarded to age group and overall winners. All are encouraged to embrace the spirit of the holidays as there will be prizes for best Christmas costumes. PrevPreviousBiziFit Members can Enjoy Yoga at Binghamton Zen Den!